The New Mexico Women’s Forum, having agreed with my nomination that Eve deserved such recognition, placed the marker just in time for the 25th anniversary of Eve’s passing on to the land beyond the shining mountains. For more than four decades Eve listened to the Apache people. She gained their respect and ultimately their friendship. By listening to, rather than trying to talk over, the old-timers, she obtained fresh information and a differing point of view. That perspective makes her books timeless. Additionally, hispanic and white pioneers, whose stories are part of that colorful mosaic of rogues and independent characters of the vanishing West, also came to trust her. I first met the funny, alert and spunky Eve in 1973 at a meeting of the Lincoln County Historical Society in Capitan. She carried around with her a war club and shared how she came to own it during her talk. Just before surrendering to the U.S. Cavalry in Sonora, Geronimo’s nephew and son of Chief Juh, 16-year-old Ace Daklugie, decided his final act of defiance would be to bury his war club. After 27 years as a prisoner of war, he returned to that canyon in 1913, retrieved the war club, replaced the rotted wood and revered it as a symbol of his freedom. He told Eve this in 1955, when he presented her with the war club, a sign of his respect for her. I, like everyone else in the audience, was enthralled by Eve’s tale. When she later announced that she was looking for a typist to help her with her writing (she was having cataract surgery), I volunteered. Our friendship grew, and I worked with her for more than a decade. On Christmas Eve 1984 her great spirit gave way, leaving behind for each of us a wonderful body of work that includes several books, such as Indeh: An Apache Odyssey and In the Days of Victorio, and hundreds of articles. True West, Frontier Times and New Mexico Magazine were graced with her humor and her dead-on appreciation for the Apache point of view. Even the more contentious ranchers and outlaws trusted her to “tell it true.” Eve was truly a “woman among men.” No matter where she went, most of her colleagues or interviewees were men. Eve knew Arizona’s famous artist Lon Megargee, who painted the native peoples and the West with feeling and reverence. Ace Daklugie relented to her will and shared his young warrior days, speaking defiantly about his 27 years as a prisoner of war and with affection for his famous uncle Geronimo and for his father, Chief Juh of the Nednhi from Sonora. With trusted translators she interviewed Scout Big Mouth about the Bosque Redondo fiasco (the forced relocation of Navajos to eastern New Mexico in 1863-64) and the son of Victorio, who was afraid to publicly identify himself as such because of his father’s warlike reputation. Perhaps her greatest contribution is sharing the Apache version from their side of the fence. 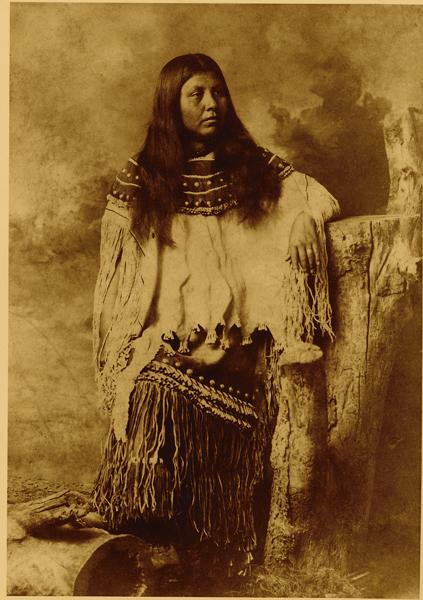 She became close friends with the major players in the Apache Wars who had to overcome a natural dislike of all white eyes before they began to bring her their oral history accounts, photographs and documents. Ace Daklugie, Eugene Chihuahua, Old Martin, Scout Big Mouth, Percy Big Mouth, Old Crookneck, Cochise’s granddaughter Amelia Naiche and more than 67 Apache informants helped Eve create books that they felt were fair. Many of the photos of places and people Eve knew along the way have been hitherto unpublished until the Lincoln County Historical Society commissioned me to put together a book on my mentor. 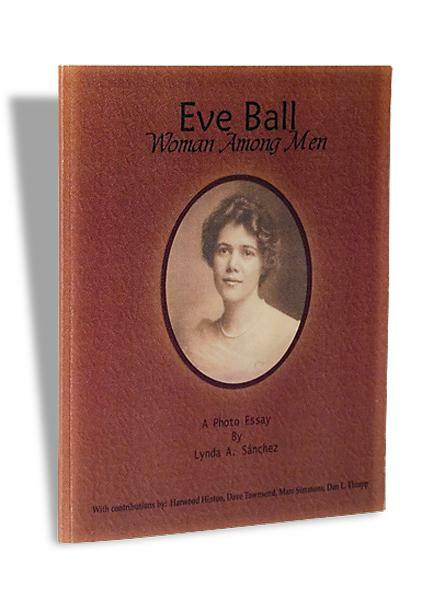 That photo essay, Eve Ball: Woman Among Men, is available for $25 at 575-653-4821. Proceeds go to the Lincoln County Historical Society, and the purchase is tax deductible. 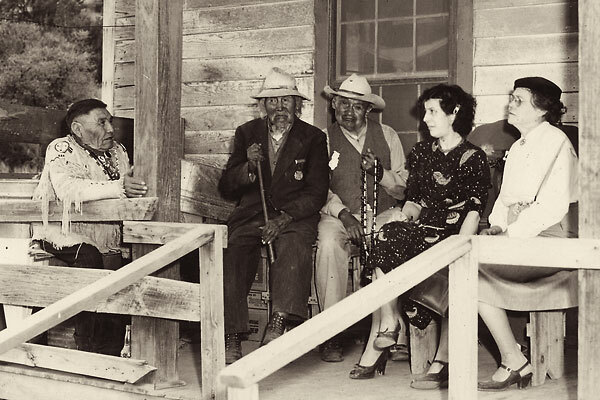 Eve Ball’s adobe home in Ruidoso is no longer a meeting place where the Apache went to recite their legends or share their own histories. In its place, you’ll find a lone, stately spruce. Ace Daklugie presented her with it, planting it there more than 30 years before her death. Just like the spruce that perseveres, Apache history has lived on to this day, thanks to Eve’s important work. 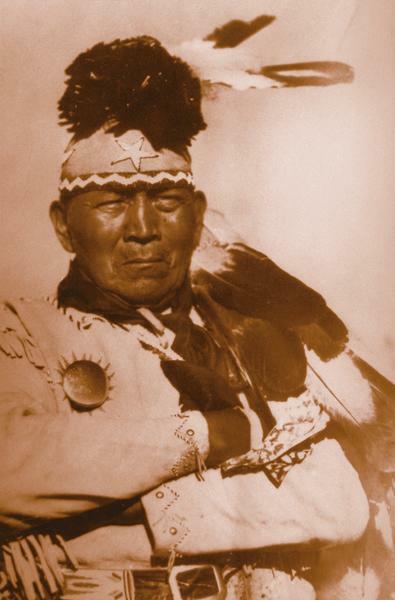 Ace Daklugie (nephew of Geronimo and son of Chief Juh) provided Eve Ball with conflicting and damaging accounts of encounters with the White Man. He challenged her to explain how the White Man could be so cruel as to imprison people who were fighting for their homelands. In 1955, about the time of this photo, Ace was 85 years of age. He wore the war hat of the Nednhi Apache proudly and never relented in his general dislike of whites. He provided leadership for the Chiricahua once the Apache returned to Mescalero as free men. An Apache war club, not Ace Daklugie’s, but a war club nonetheless. Its 211⁄2-inch-long wooden shaft is covered with rawhide and decorated with beads. The black stone head, measuring 11⁄2 inches in diameter and 21⁄2 inches long, is flat on the business end and rounded on the other. Lynda A. Sánchez co-authored, with Nora Henn, Eve Ball’s final book, the classic Indeh: An Apache Odyssey. Find out about her work at Fort Stanton in this issue’s What History Has Taught Me. 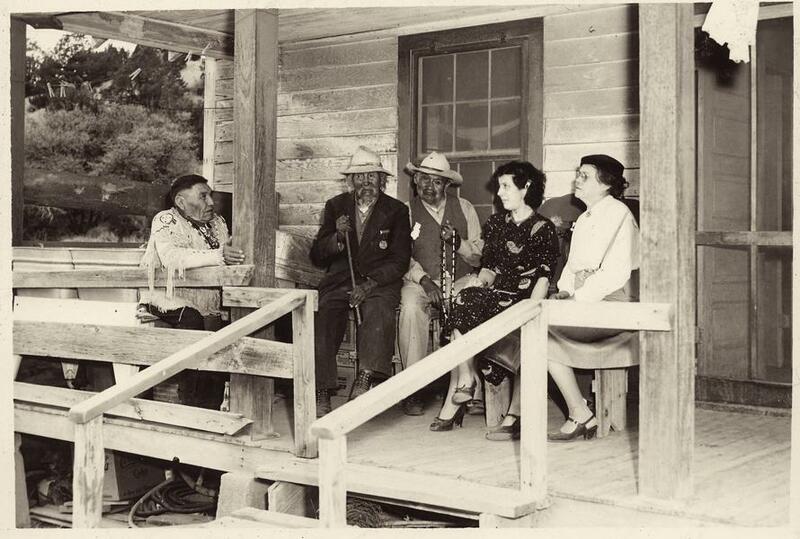 Eve Ball (far right) visiting with Percy Big Mouth (from far left), an unknown man, Old Crookneck and an unknown lady friend. Percy was the son of Scout Big Mouth, a survivor of the Bosque Redondo POW camp on the Pecos River. 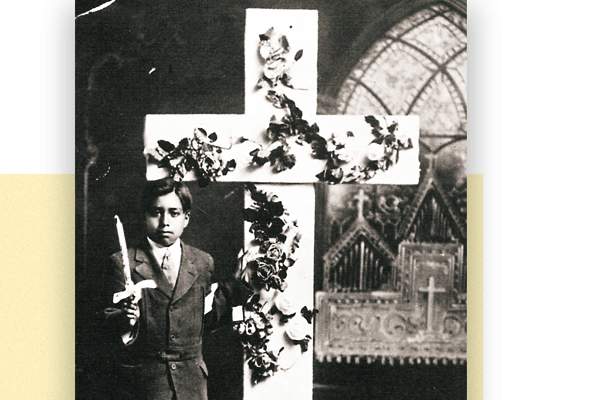 His father, with Percy translating, told of how he had seen bodies floating in the Pecos River, bodies of Navajo and Apache who had died from pestilence passed on to them in the crowded conditions of their camp. Soon thereafter the Mescalero Apaches left that hellhole on their way back to the sacred White Mountain (Sierra Blanca). The U.S. Army closed the camp. In her buckskin wedding dress, Ramona Chihuahua Daklugie is a beautiful example of the pride, the workmanship and the stunning beauty of the Apache woman. Ramona helped open doors for Eve Ball to interview Ramona’s reticent husband Ace, as well as others on the Mescalero reservation. 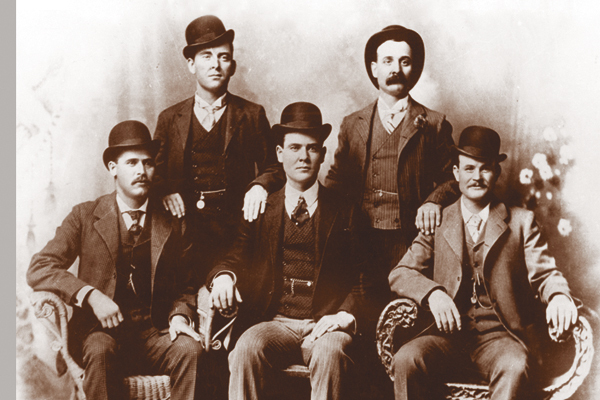 Cassidy Gang Captured Again Fort Worth Five photograph retaken for History Channel series.